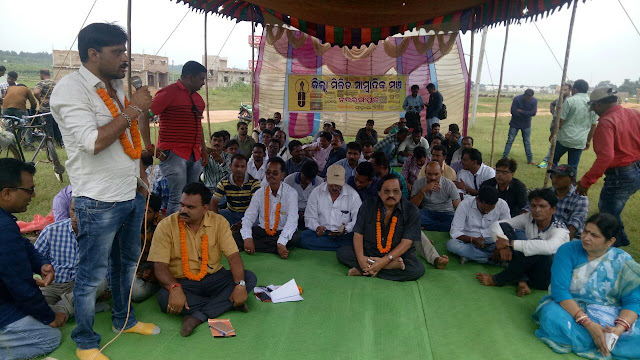 Nabarangpur-Online: Journalists stage dharana in Nabarangpur. Journalists stage dharana in Nabarangpur. The scribes working in various media houses in Nabarangpur district staged dharana in front of collectorate demanding fulfillment of a 8-point charter of demands here on Friday. The scribes took a bike rally from Sadasiva Park to collectorate and staged four hour dharana later meeting they submitted a memorandum to Chief Minister through district collector Rashmita Panda. The demands include enactment of Journalist Protection Act, completion of identification of scribe within a stipulated time, insurance cover for scribe, medi claim,residential facility, decentralisation of accreditation process, and travel facility for journalist. 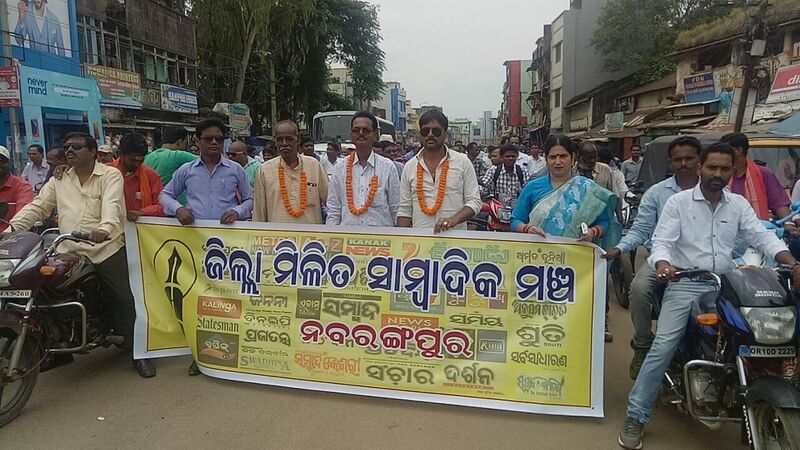 The Scribes Susant Behera, Basant Rath, Purna Chandra Mohankuda, Banka Bihari Bissoyi, Sankar Beberta, Prasant Sahu, Kishor Patnaik, Social worker Jagannath Mohapatra, and other reporters of the district were present at the dharana.